The NORML National Legal Committee (NLC) is a group of more than 500 attorneys including many top-notch criminal defense attorneys who focus on defending individuals charged with marijuana offenses. Marijuana offenses can range from misdemeanor charges for simple possession to more serious felony charges for operating a grow house or trafficking cannabis. Although the vast majority of marijuana crimes are prosecuted in state court, some serious marijuana crimes are prosecuted in federal court each year. Attorneys on the NORML Legal Committee include not only marijuana defense attorneys, but also includes attorneys focused on other practice areas that are impacted by marijuana policy from employment law to health care law. The NORML Legal Committee sponsors two legal seminars each year including one in Aspen in June and another in Key West in December. Access on NLC's e-mail list-serve where members can ask questions about marijuana defense and share information. 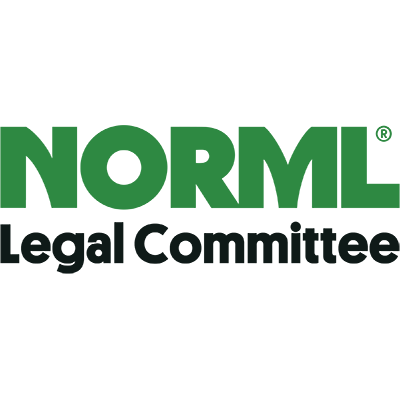 The NORML Legal Committee maintains independent by receiving its funding from its members. The annual membership fees are $300 for private attorneys or $150 for public defenders or Criminal Justice Act (CJA) attorneys. Members can support NORML and gain special recognition by becoming Lifetime Members by paying either a one time installment of $3,500 or by paying 10 installments of $350. In June, attorneys on the NORML Legal Committee meet for a three-day CLE program in Aspen, Colorado. The seminar is held at The Gant which provides a variety of Colorado lodging accommodations including vacation rentals to private condos. The Aspen legal seminar is fully accredited by all states that require Continuing Legal Education (CLE) credits. Each year attorneys on the NORML Legal Committee meet in Key West in December for a three-day legal seminar. This Legal Seminar occurs each year at the Pier House Resort and Caribbean Spa on Duval Street in Key West, FL. The Key West legal seminar is fully accredited by all states that require Continuing Legal Education (CLE) credits. Members are able to spend time together in a relaxed environment while they learn more about defending marijuana case and those negatively impacted by misguided drug policies. The NORML Legal Committee's highest honor, the Al Horn Memorial Awards is a lifetime achievement award for advancing the cause of justice and extraordinary support of NORML.